Can I search from event title or member name on activity page? I added above script to the function file, but it still not searching for the name. It worked when I did it so maybe you’ve not done it correctly? I write in same way, as you send above in function file. But nothing worked. 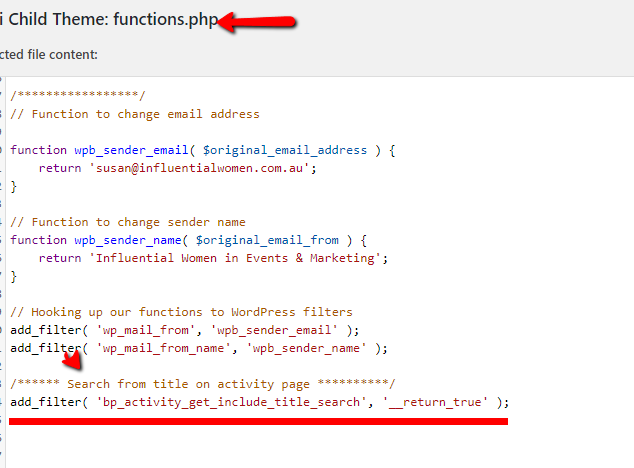 All I can suggest is that you are not copying the functions.php file into the right theme directory, not likely but that could cause the new function not to be seen.